Maybe I’m getting a little carried away with my metaphors and doodling, but I’ve come up with a little spin-off of Splat. I’m calling it Swall, and it’s for people like me with irritable bowel syndrome (IBS) or other digestive diseases such as Crohn’s disease or ulcerative colitis. I’ve had IBS with varying severity and presentation for two decades, and my least favorite thing–even worse than the inconvenience and embarrassment of those urgent bathroom moments–is the bloating. It looks awful, feels awful, can often hurt, even makes my back hurt. It’s impossible to dress around it in anything other than a giant hoodie. And then there’s showing a poor sap I might be kind of dating (hey, it could happen) and saying “See! 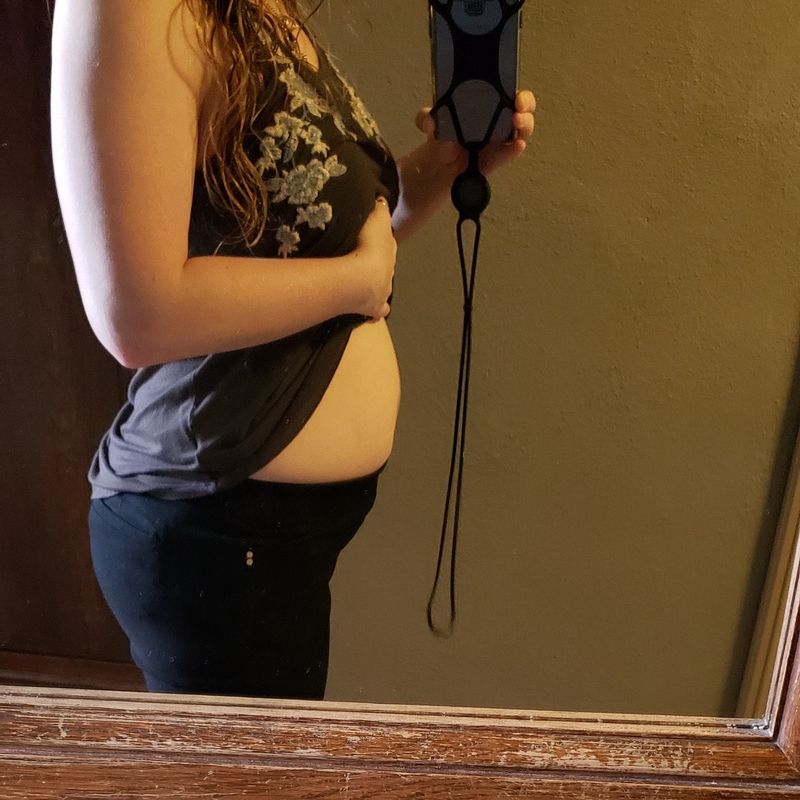 Look how huge my belly is all of a sudden!” And he doesn’t realize that “You look fine,” and “I don’t see any difference,” are the absolute wrong things to say. I mean, for once my “invisible illness” is actually visible and I want validation, empathy, and puppies! No, I’m not pregnant, and yes, really, I actually have a flat stomach. This is Swall. For years, the best way I could describe this evil bloat is to say it feels like I swallowed a beach ball and someone blew it up inside me. People have gotten it well enough, I think. My closest pals understand when I say, “I can’t eat that. 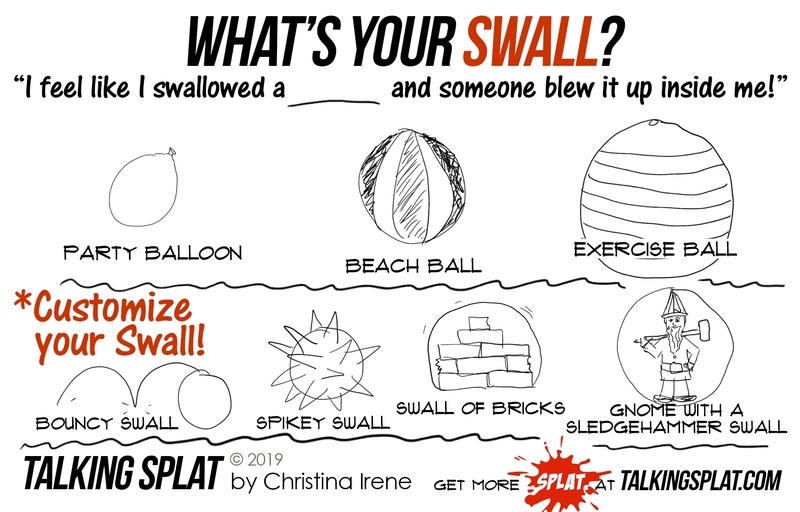 It’ll make me beach-ball.” Now, in the spirit of Splat and IBS Awareness Month, I’ve expanded my beach ball analogy into Swall: I’m at a bouncy beach ball Swall of bricks right now. What’s your Swall?